Exceptional Award Winning Custom on 11 Beautiful Acres in San Pedro Creek. Nestled in the Gaze of the Majestic Sandia Mountains, Encompassing a Breathtaking Setting, with a Plethora of Outdoor Activities. Energy Efficient, ICF Construction, Beams/Vigas, Clay Plaster Walls, Hand Scraped White Oak Floors and Custom Alder Carved Doors. Chefs Kitchen. Home Theater. Private Mastersuite with Coiled Shower. 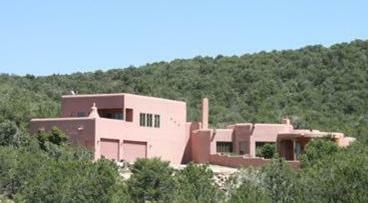 Nearby, Historic towns of Santa Fe & Albuquerque, Offering Amazing Art Scene and Cuisine. Rich Mulitcultural Heritage. Click here for more information!